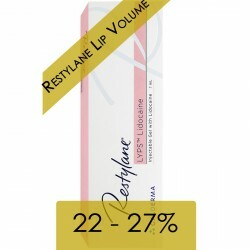 Restylane® Skinboosters Vital Light (1x1ml) - Aesthetic Pharma Sp. z o.o. RESTYLANE® was the first hyaluronic acid dermal filler specifically designed to treat moderate facial wrinkles and folds. Non-Animal Stabilized Hyaluronic Acid (NASHA) gel. RESTYLANE® Skinboosters are made from Q-Med’s patented NASHA gel, with no extra additives. RESTYLANE® Skinboosters™ are designed to improve the skin's quality by boosting hydration levels deep inside the skin and increasing its smoothness, elasticity and firmness. 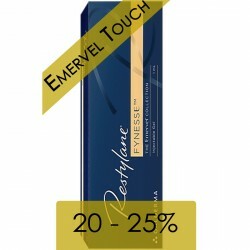 Restylane Vital is designed specifically for more mature or sun-damaged skin. RESTYLANE® Vital Light is designed for younger or delicate skin and is a versatile treatment that can be used for those seeking an improvement to the quality of their skin, for a more radiant complexion and for those that wish to improve the skin structure, for example in acne scarred or sun damaged skin. Unlike the rest of the RESTYLANE® range which have varying particle sizes suitable for different levels of correction by dermal filling, RESTYLANE® Vital is a smooth formulation without particles, which helps it distribute evenly and smoothly under the skin to aid rejuvenation. needles: 3 x 29G "ultra thin wall"